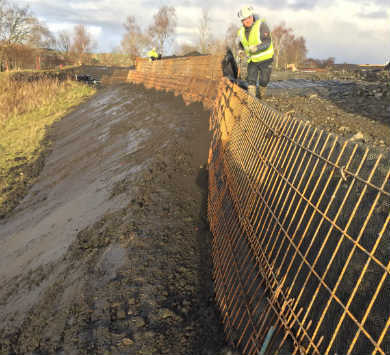 A series of severe winter storms has caused heavy erosion on the banks of Loch Tay and stabilisation was required to prevent further damage. 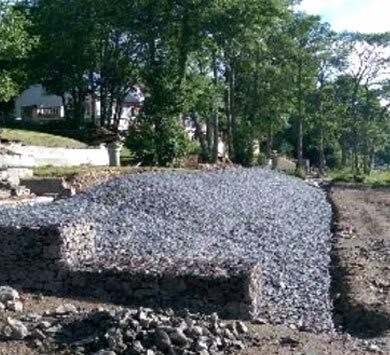 The site comprised a graded garden leading down to the shoreline where a bespoke pontoon granted access to the water. 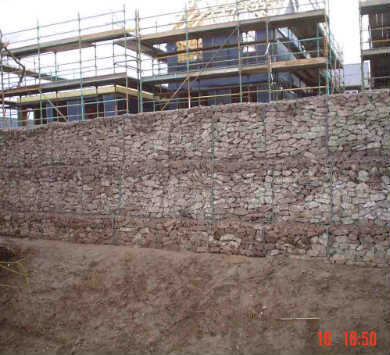 This had been damaged in the storms and was removed to allow for repair work to be carried out on dry land. 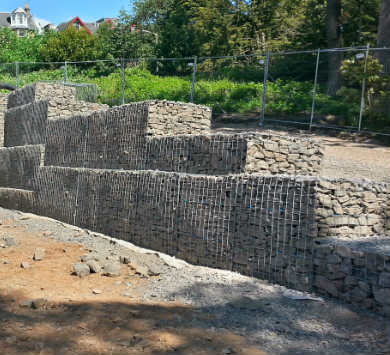 The eroded tide line was reclaimed and the bank regraded, including the septic tank outlets and ground water drainage pipes. 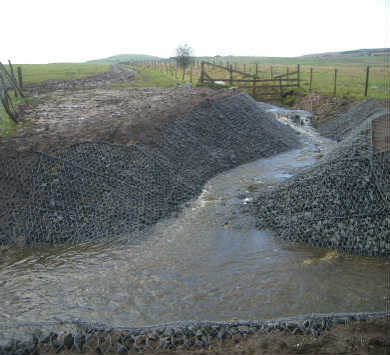 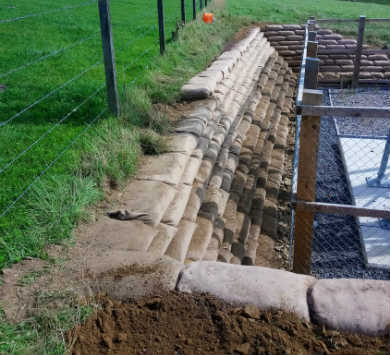 Heavy duty needle-punch geotextile fabric was placed with the foundation and 300m3 PVC woven mattresses installed with a 1m toe buried into the shore line to prevent further scouring. 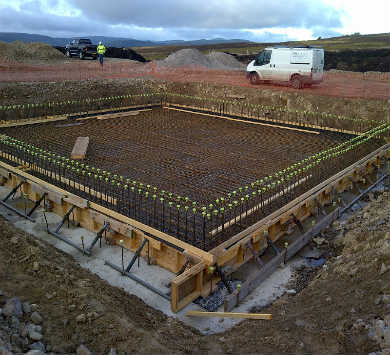 Various challenges were encountered due to the nature of the site’s location and its limited approach. 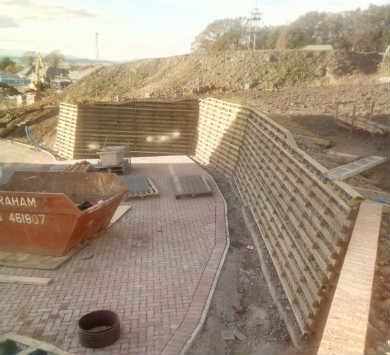 A very steep banking meant wagons could not gain access to the shoreline and therefore all materials had to be run in and out by dumper from the main road. 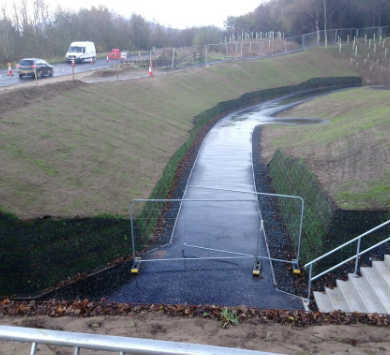 In addition, working in and around an environmentally sensitive body of water required liaison with SEPA and ensuring all works were carried out within their strict guidelines. 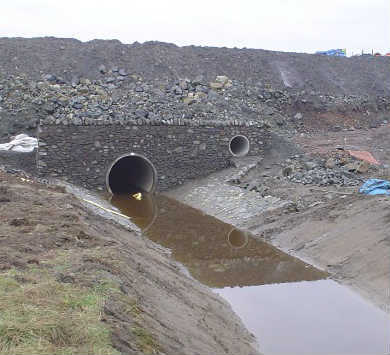 Specific to this was working during low tide levels in the summer, meaning there was only a restricted window of access and therefore effective project management was essential. 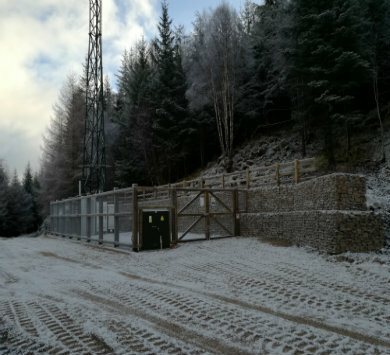 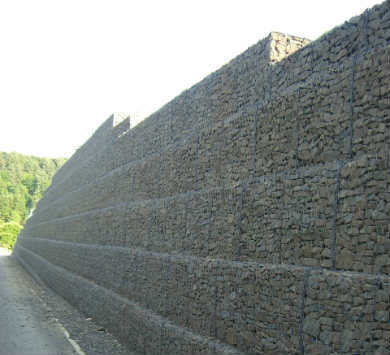 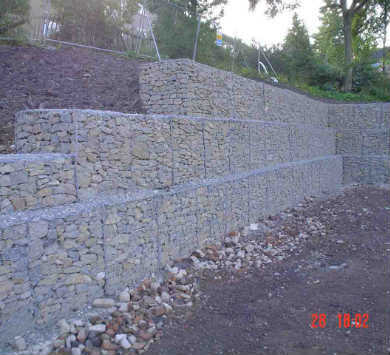 JML Contracts carried out all enabling works on the project including the removal of existing trees and damaged concrete defences. 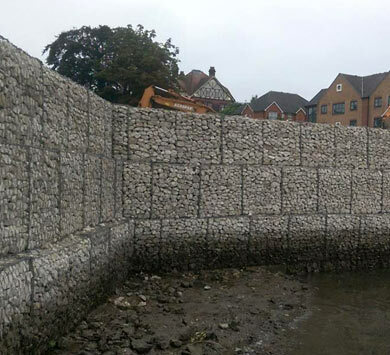 Excavators were deployed to carry out bank regrading, foundation preparation and installation of large rip-rap boulder breakwaters to protect the new jetty. 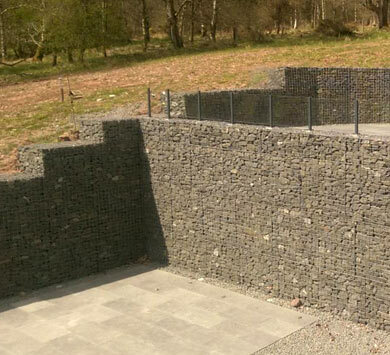 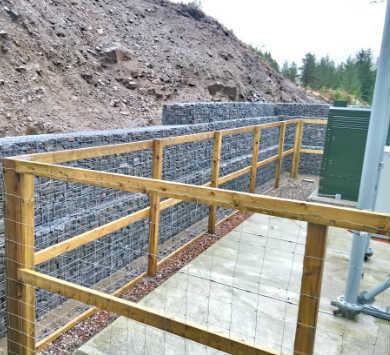 The supply and installation of fifty linear metres of Reno mattresses was completed with 40/80mm graded basalt and an additional 20m3 of gabion walling was placed to facilitate the creating of a new stairway down to the jetty.